Have you ever dreamed of owning your own business and being your own boss? If you have, then you probably also wonder about the elements that make success possible in small business, or for that matter, in any business? In my field work here, I get that question a lot from new bakery owners. 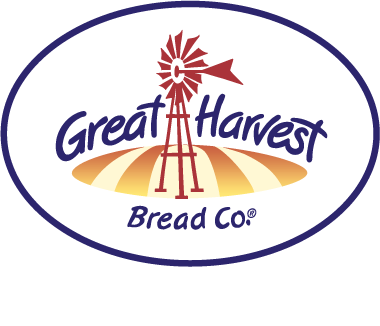 In my 22 years at Great Harvest, I’ve seen a lot of bakeries and worked with a wide band of owner and employee personalities. What I've discovered is that in order to make this business succeed, you need to have a good team in place and be able to coach them to do their best. Isn’t that true with any business? The reality is, most small businesses require employees. You can’t do it all by yourself. Managing people does not come naturally unless you’ve had experience. There are a multitude of different management styles. 1. Finding the right people is top on the list. It’s important to have people who care about what they’re doing and are willing to work toward common goals with others. 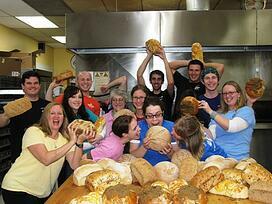 Many Great Harvesters say they look for passion in potential employees. What do they CARE about? You can teach skills but you can’t change personality! Robin Condie, co-owner of the Clackamas, OR Great Harvest says how important it is to hire for personality and energy. 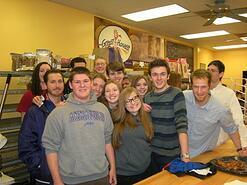 Their crew exemplifies that energy! 2. Clarity in communication of expectations and responsibilities. No one has mental telepathy. As much as we might think things should be obvious, they never are. Everyone has different thought processes, and we are all influenced by our own experiences. Clear communication is a necessity. It alleviates employees’ stress when they clearly understand your expectations. Mike from Salem communicates his vision and the big picture, and then explains how important that person’s role is in the big picture. 3. Proper training and support. It’s stressful to be thrown into a job without the proper training. Most people want to do a good job. The better you coach and mentor them, the more proficient, confident and happier they’ll be. Ian Kidd, ex-hockey player and owner of the Duluth, MN Great Harvest, works side by side with his crew. He knows firsthand from his former career, the value of team work. 4. Assure that employees’ personalities and strengths are a match for the job. It’s stressful to be expected to do something that’s really not a good personality fit. If someone loves what they’re doing, they’re much more likely to excel. 5. Allow employees to feel ownership. Jim and Robin Condie, owners of the Clackamas, OR bakery, listen to their employees and empower them by making them a part of decisions. Robin says they’re employees are smart, and they get a lot of great ideas in the process! 6. Once the basics are mastered, make work more challenging, so employees have the opportunity to stretch and grow. Empowering people to make decisions and take on more responsibility gives them a sense of pride. Your trust in their abilities will help them develop and rise to the occasion. Remember that allowing for mistakes is part of empowerment. It’s never going to be perfect. 7. Thank your team for jobs well done. When employees are allowed a sense of ownership in the business and treated like partners rather than hired help, they’re motivated to take exceptional pride in their work and go the extra mile. 8. And finally, encourage your team to not look at their job as a stepping stone to their “real career” but rather to excel and do their best. That mindset will serve them well throughout their lives. Everyone has the potential to be great in EVERYTHING they do, no matter how big or small. I hear so often that the biggest challenge in small business is managing employees. If you build and mentor a core team of people that you truly enjoy working with, that challenge can become one of the greatest joys in your business. I'd love to hear your thoughts in the comments section below. What do you think are the keys to creating a strong small business team? 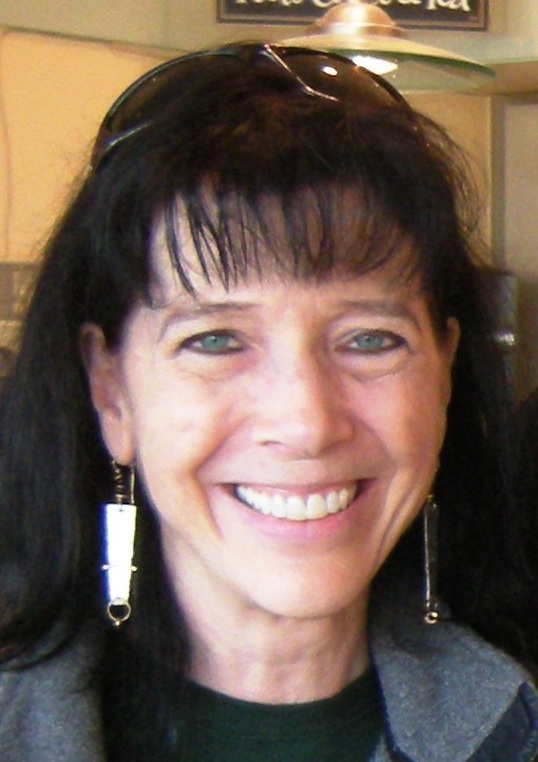 I'm Bonnie Harry and have had the pleasure of working for Great Harvest since 1988! I work with a remarkable group of people - both the people in the Dillon office and the bakery and cafe owners across the country. Working for a company that emphasizes freedom, quality, service and ability to roll with the changes keeps the work invigorating and dynamic. Since the beginning, the company has attracted caring and passionate people. This combined with the freedom aspect has created a great company culture. 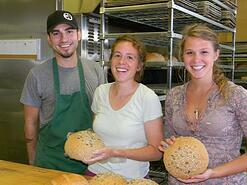 I was a loyal customer before joining the ranks and still believe our whole grain breads are the best out there.